Happy Valentine's Day all you lovely people! Whether you celebrate the day, even if you're coupled up or not, I hope you have a fabulous day. The most important thing about a Hallmark holiday like this is to remember to show love and kindness to the people that matter the most in your life. Of course we should be doing that everyday anyway, but since today is Valentine's you can make a bit more effort to go the extra step towards putting a smile on someone's face. Oh and of course don't forget to love yourself... that's most the most important thing you can do. To help you do just that, I've put together a post on how to give yourself some extra TLC and take some time off to relax (it's just one of those things that's good for the soul, trust me). The most relaxing thing I can do out of my busy schedule, is to give myself a pampering treat. This can consist from having a relaxing glass of wine and maybe a face mask, taking some time to care for my nails or going all out with a full pampering routine. Over the much dreaded January, (anyone else happy that's over?!). I've come up with the perfect pick me up routine for anyone that loves a pampering treat. This routine will make you feel refreshed and completely relaxed no matter how tough of a week you've had. Firstly I recommend switching off from whatever may be keeping you busy in life... work, kids, blogging, you name it. I then like to grab a glass of prosecco (my absolute favourite), but whatever you choose to drink is up to personal preference of course. Once you've started to feel at ease, run yourself a bath. 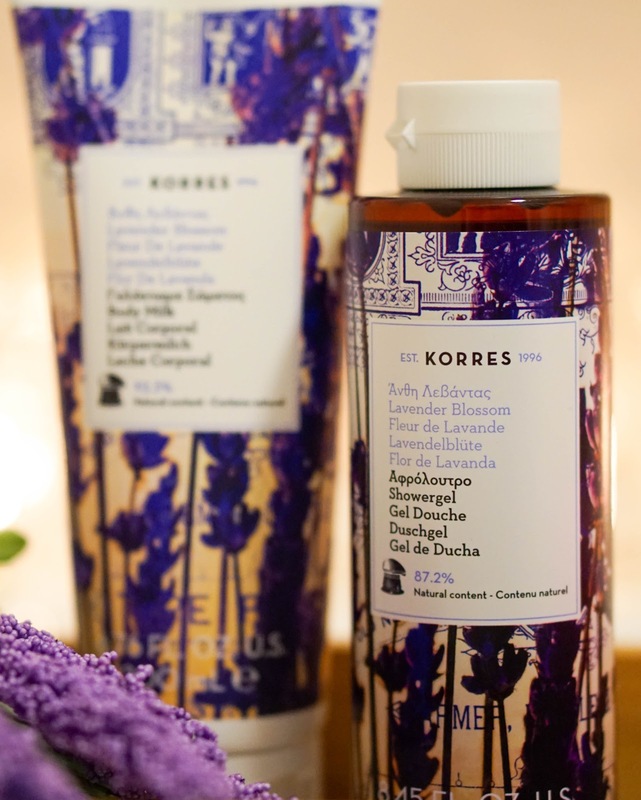 This is a true indulgence for me as I rarely have the time for a bath and will usually opt for a quick shower instead. It's even more of a treat when I splurge on a Lush bath bomb like I have done here. 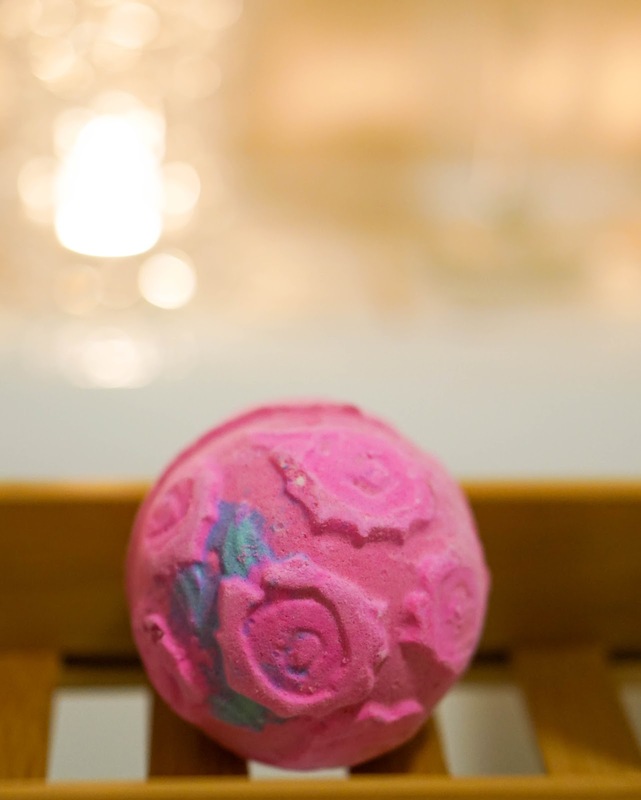 I opted for the Rose Bombshell bath bomb from their Valentines collection. I don't treat myself to Lush very often so when I do I like to opt for something different each time. This bath bomb smells amazing which is probably what drew me towards it in the first place. 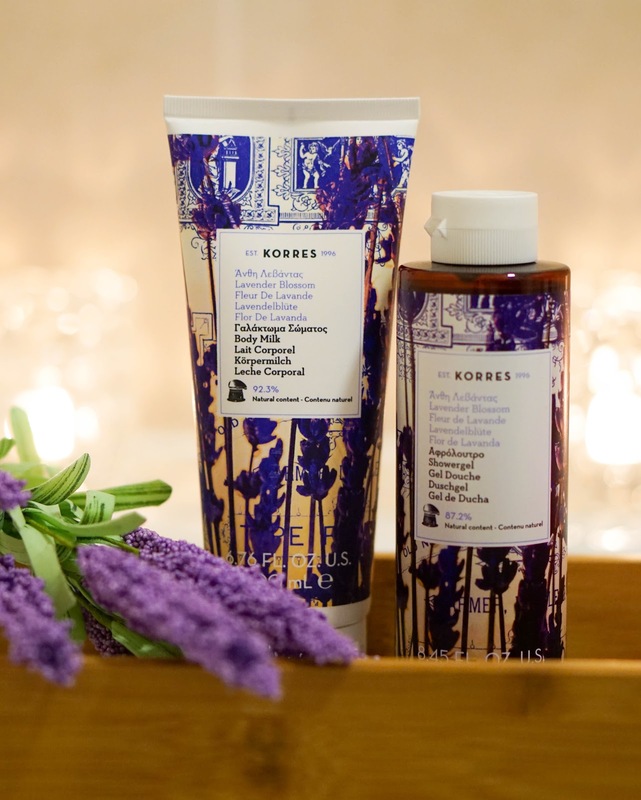 I also like that it has nourishing floral oils & uplifting Sicilian lemon. 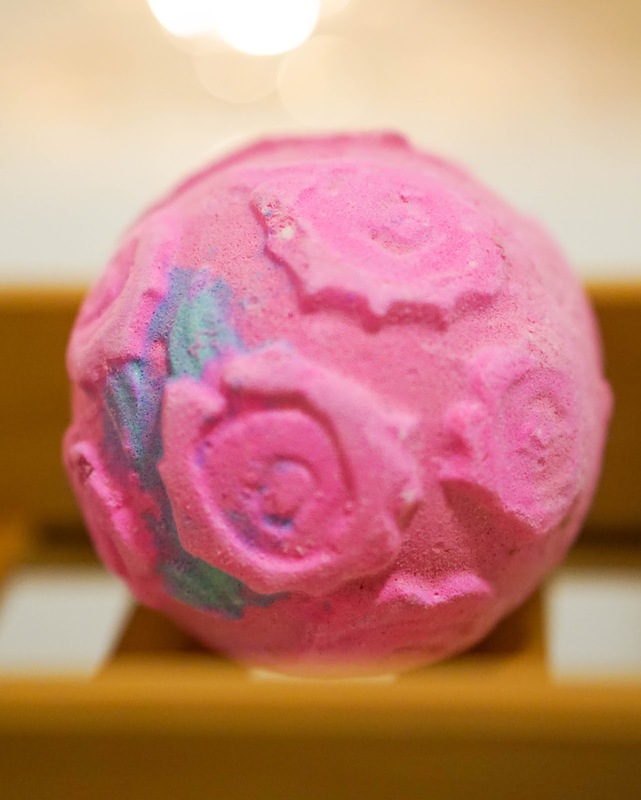 Best of all of course is that it looks super pretty and it's filled with rose petals inside. I then like to give my face a skincare treat, because if I feel tired or stressed, my skin will always show it. Winter skin always dries out my skin and causes a bit of flakiness, so it's important to use an exfoliator regularly. 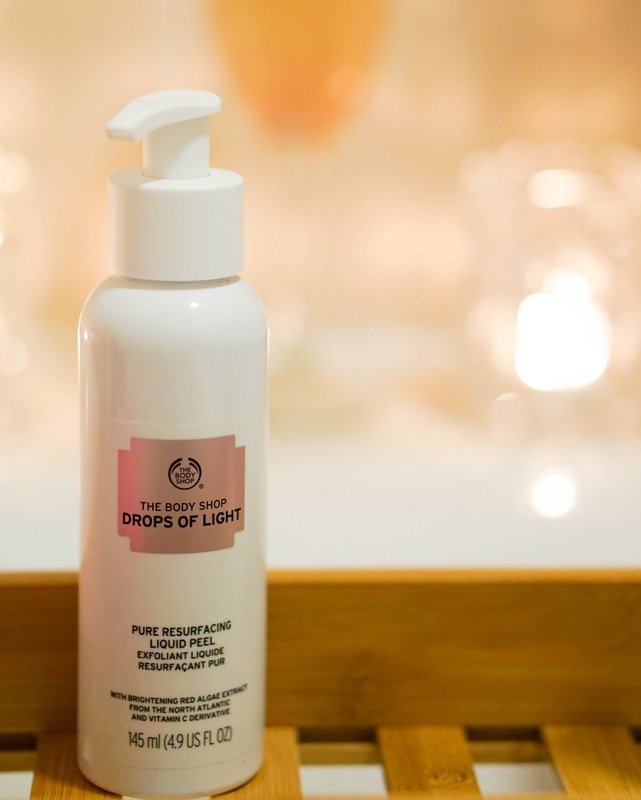 At the moment I am trying out this new Drops of Light Resurfacing Liquid Peel* from The Body Shop. The name sounds a bit scary I know, but this is actually a really gentle exfoliator and I haven't had any kind of reactions at all to it. 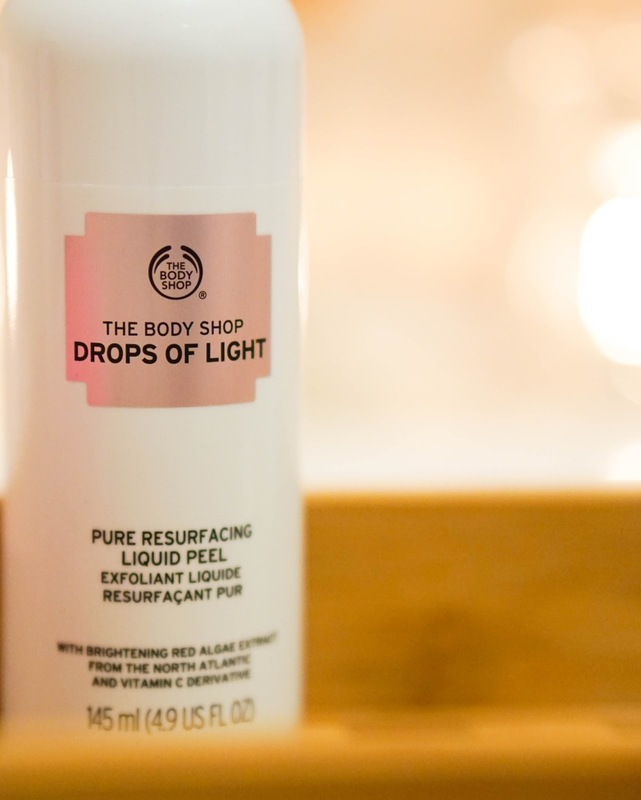 This is promoted as a quick fix for brightening the appearance and gently 'peeling' off impurities and dead skin cells. It contains brightening Red Algae Extract harvested from the North Atlantic and it's rich in Vitamin C. The instructions recommend to massage 2 pumps on the face for up to 20 seconds until it starts to clump together, which is when the peeling effect happens. I've used this a couple of times so far and I'm still undecided on my final thoughts about it. Whilst I like how soft my skin feels once I've rubbed off the product, the problem I have is that it's actually really tough to remove every bit of product off my face. It kind of sticks to the side of my face where I have some facial hair (I didn't even realise how much facial fuzz I had until I used this product *face palm*). So now when I do use it, I mostly stick to using it in the centre of my face, to avoid having this problem. So whilst it does gently exfoliate the skin I'm just not sure that I enjoy the whole removal process. Next up I will continue to treat my skin in the form of using facial masks. I stick to using similar masks for detoxing and nourishing the skin, but this time I decided to try something a little bit different. 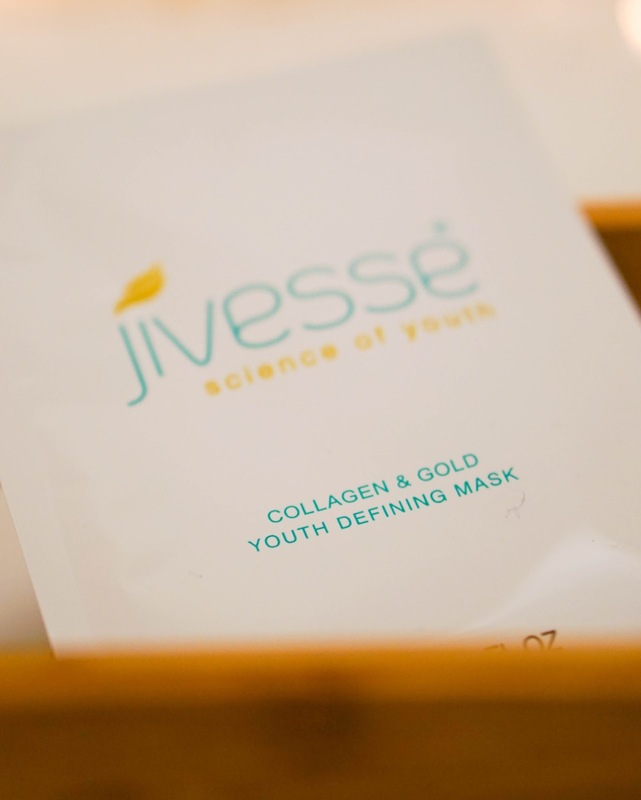 When luxury brand Jivesse contacted me about trying out their Collagen Gold Mask*, I have to admit I was a little bit hesitant because it is way out of my price range and not something I would ever be able to splurge on usually. But then of course curiosity got the better of me and I decided to give it a go anyway, as I wanted to compare it to some of the other brands that I have tried in the past (with more affordable budgets). So to warn you in advance a packet of 5 sachets is priced at £125 (yikes), so of course at this price the expectations are going to be set mega high and you almost want to see an improvement overnight. 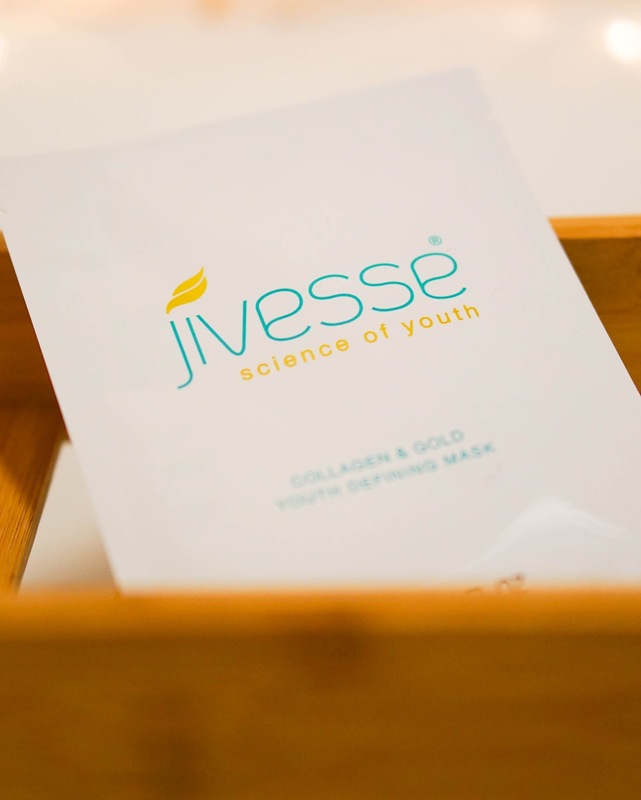 Each mask is infused with 24 karat gold to visibly lift, tighten and firm the face... which I did see immediate results with, as my skin was instantly plumped and felt rejuvenated. The mask also contains a combination of Marine Collagen and Hyaluronic Acid, to soothe and hydrate the skin for a radiant and youthful glow. So did this mask live up to my expectations? It did, as it was probably the most luxurious sheet mask I have tried so far and my skin looked amazing... but the results only lasted a couple of days, which is where I had some slight disappointment. It's obviously the kind of mask that needs to be used on a regular basis if you want to minimise fine lines, wrinkles and see an improvement in skin texture overall, hence the 5 sachet pack. However for me personally I would expect results to last longer considering the price tag, probably because I am usually on a budget. "Energetic and creative in balance, but worried, tired and indecisive when out of balance. Often of slender build and suffers from cold hands and feet. Tends to have delicate dry skin and hair, which may need extra moisturising and nourishment to keep it glowing and healthy." I have to say I was pleasantly surprised at how accurate this is to my life and happily started using the Vata Anti-Ageing Treatment Oil, which is a concentrated blend of Ayurvedic botanicals and infusions such as Rose, Turmeric, Tulsi, Gotu Kola and Ashwagandha. This powerful treatment targets signs of ageing, as it helps to reduce the appearance of wrinkles. I can't comment on the fine lines or wrinkles, as I am lucky not to have any just yet.. But I can say that this oil is an absolute pleasure to use in the evenings. It feels silky soft as I massage it and it leaves my skin feeling plumped. I also like that the formula absorbs into the skin relatively quickly, so certain days when my skin needs extra TLC, I will apply a pump or two in the mornings also. I was worried about the scent being too overpowering but it actually has a very calming aroma, so perfect for using before bed time. 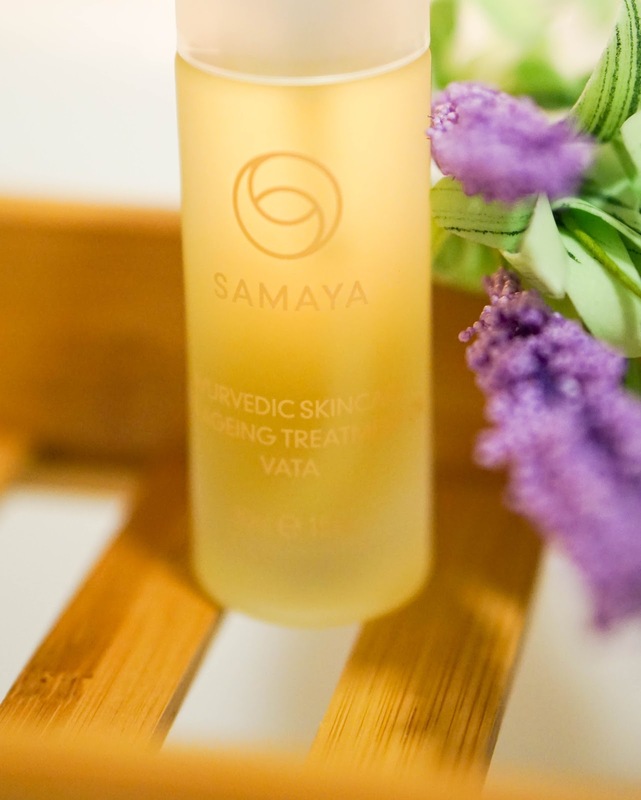 I'm really enjoying this oil at the moment and it's definitely got me interested about the rest of the range, plus the whole Ayurveda lifestyle in general. So that's it from my current pampering evening routine and the products that I am trying out at the moment. 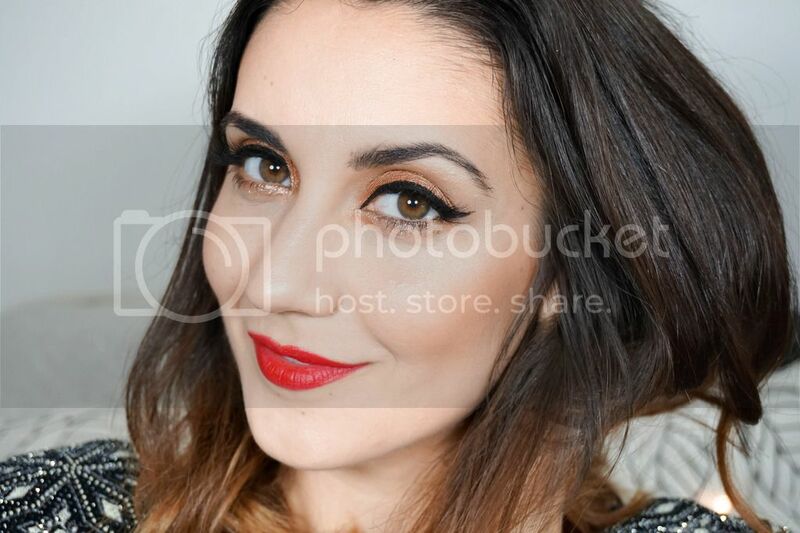 I hope you will feel inspired to give yourself some much needed TLC and have a bit of a pampering routine soon. I'd love to hear your thoughts on the products I have here, do you spot any favourites?